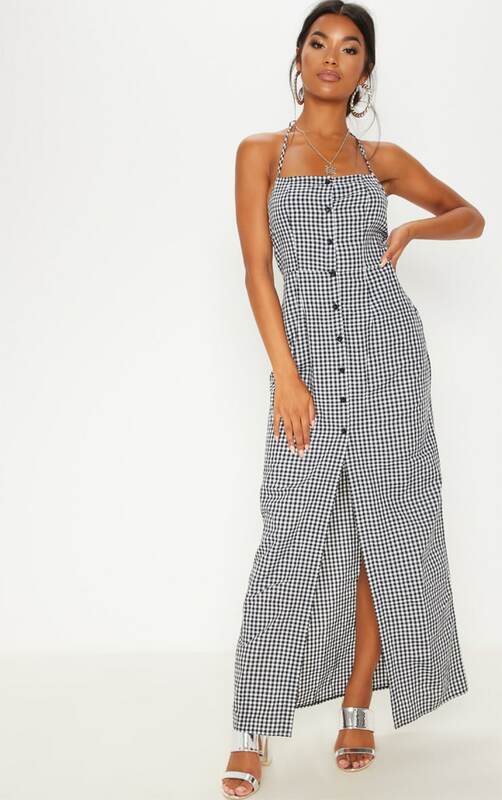 Maxi dresses are perfect for the vacay season. 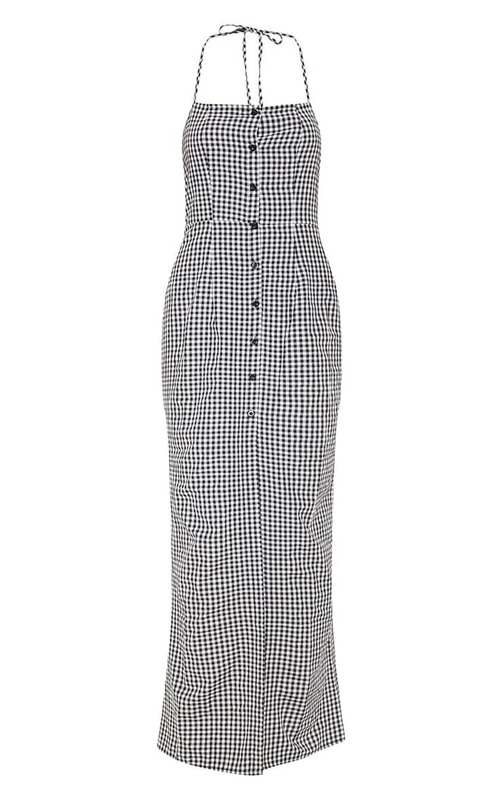 Featuring a black gingham material with a tie halterneck detail, a button fastening and a thigh-high split. 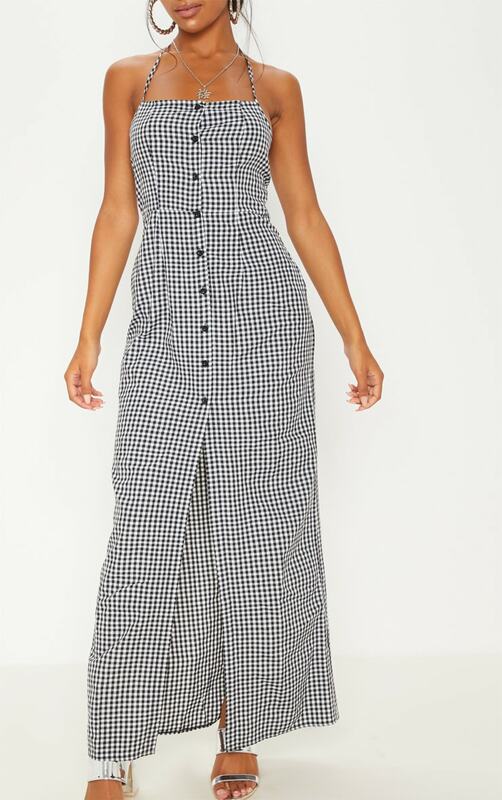 Style this maxi dress with a denim jacket and heels for an off-duty look we are loving.